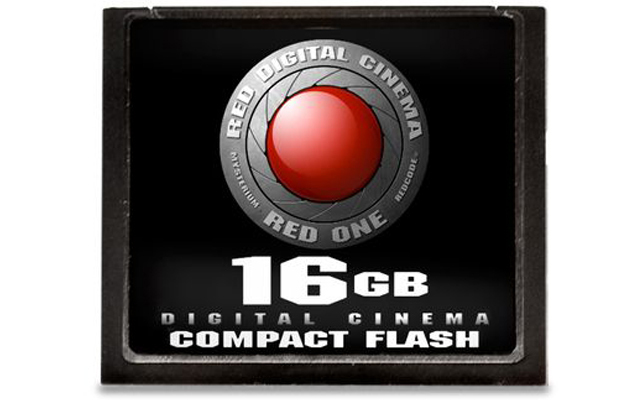 RED Compact Flash cards offer the lightest media solution for RED ONE cameras and data transfer, ideal for when you need your configuration to be as lean as possible. Once you’ve recorded onto your CF media, you can power up to 3x RED STATION COMPACT FLASH devices with your RED STATION BASE for offloading content to your computer (via Firewire 800, eSATA, or USB 2.0). In addition to serving as camera media, the TACTICAL COMPACT FLASH KIT offers a lightweight storage option for transferring data or R3D files from one computer to the next.